I’m waiting for group D jobs for 10nth equivalent job so please send the notifications. sir pls update the online application form for rrb bangalore. Am prema maninagar I have completed b.com with 80% agrigate. Notify me to which post should I apply.? SIR I 29TH AGE.SSLC PASS. KGTE ENGLISH & MALAYALAM TYPEWRITING PASS AN WORD PROCESSING. COMPUTER KNOWING JOBS FOR EQUIVALENT. PLEASE SEND THE NOTIFICATION. My name is Santosh pls notify me i m undergraduate. 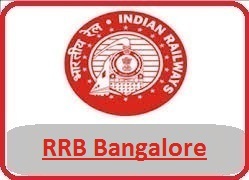 MY NAME IS SANGEETHA.M PLEASE NOTIFY ME ABOUT RRB IN BANGLORE. Sir iam Dashrath ,recently completed Msc in computer science, notify me plz sir. i have applied for RRB Mumbai,can i also apply for RRB Banglore?